Can EL Panels be used for flat-field correction? You’ll remember that we exchanged emails following my purchase of an A4 EL panel from you last month via ebay. In your last email you asked whether the panel would be bright, white and even enough for telescope calibration, and I said I would let you know how it performed once I had it all set up. For use, I sandwiched the EL panel between a sheet of black acryllic and a sheet of opal frosted acryllic, bound the edges together with black plastic insulation tape, and fixed the assembly into a deep A4 picture frame. The attached images show how the panel performs in producing flat-fields for the correction of astronomical images. A 6-inch reflecting telescope and astronomical camera with an APS-size CCD colour sensor were used.This is the maximum size of telescope that can be calibrated with the A4 panel. The panel was placed directly onto the telescope tube. With the particular camera I used, the exposure needed to give around 33% saturation of the sensor (the ideal value) was 0.25sec. So brightness is perfectly adequate for the purpose. 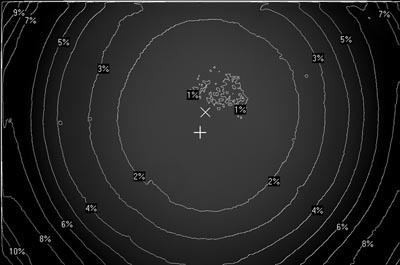 The attached images include the flat-field obtained and an analytical map of the brightness distribution. The vignetting is entirely due to the optics of the telescope. There is no detectable unevenness arising from the EL panel alone. I have not tested the spectral distribution of the panel. 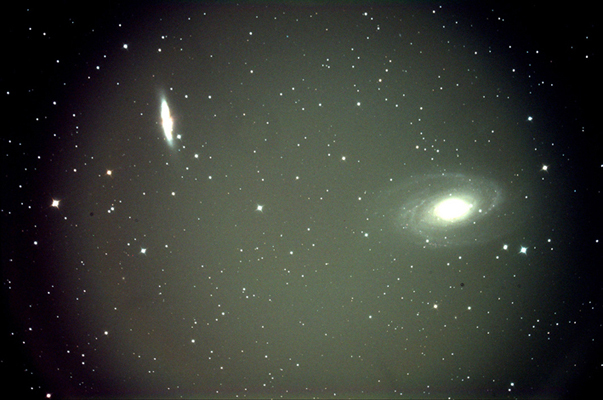 Many astronomical cameras use monochrome sensors and colour images are obtained by combining exposures taken through red, green and blue filters, as well as some special narrow-band filters designed to highlight specific radiation from hydrogen, oxygen, etc. I expect that flats obtained using these filters will need different exposures to compensate for differences in the emission spectrum of the EL panel. 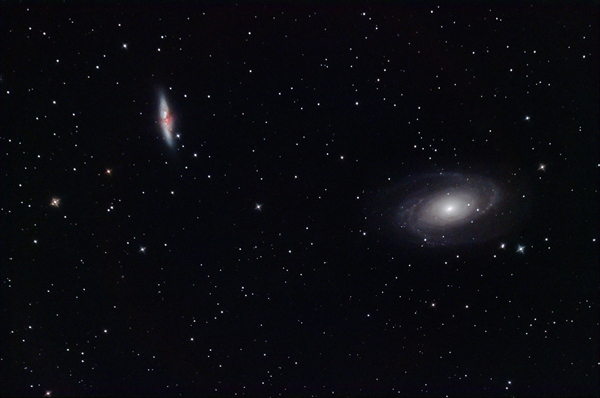 Two of the attached images show a picture taken last week of the galaxy pair M81 and M82, with and without correction using the flat field panel. The ‘without correction’ picture is a raw image before any processing – the ‘with correction’ picture shows the result of flat-field correction combined with processing using specialised software to manipulate the brightness range of the image. These are a very good results and I think it fair to say that a perfectly adequate set-up can be made using your panels. Thanks for your help getting the panel to me and sorting out the glitches.